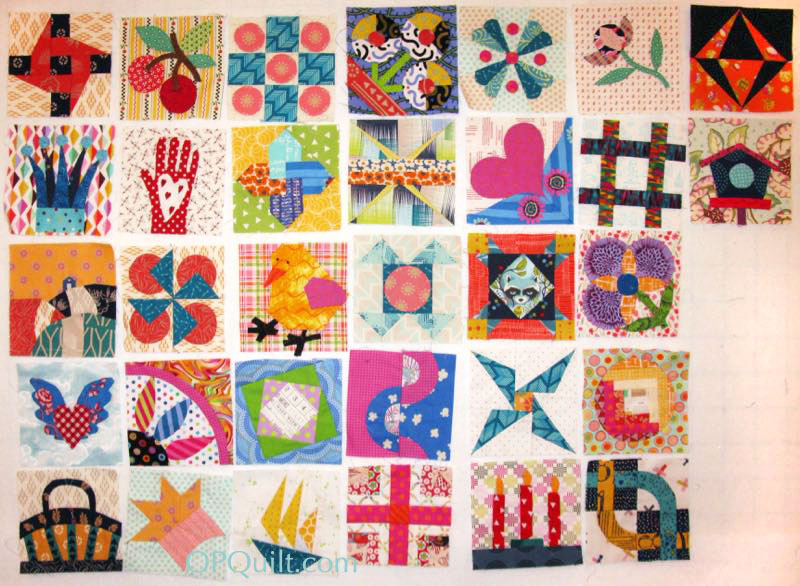 Chuck Nohara Blocks This Far | OccasionalPiece--Quilt! I love seeing all your Chuck blocks together! I took a group shot today too! You seem to be missing one Elizabeth (#1604) I’m sure you made it! I went and checked out Kevin Umana’s work and started following him on IG! Very cool stuff! 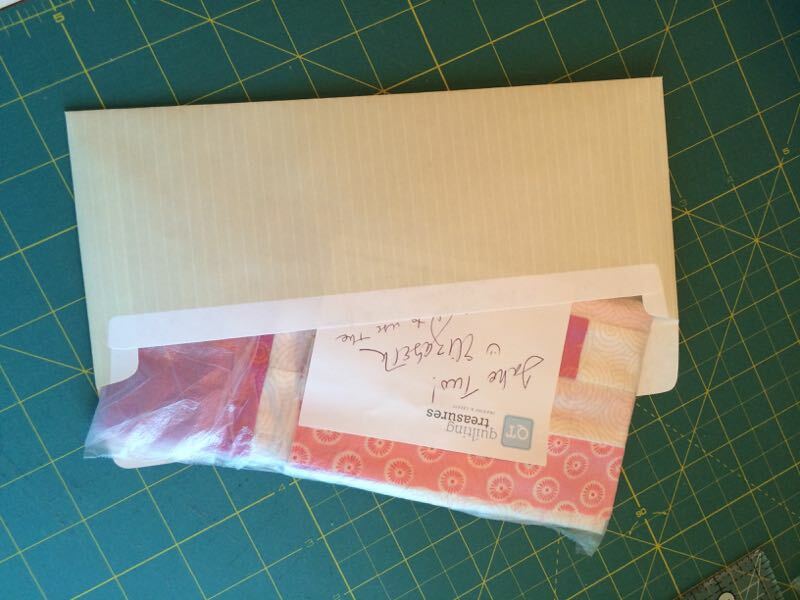 “Press and Seal”- what wonderful stuff that is! I had wondered about, because that is another thing we can’t buy in Australia! Enjoy your workshop with Gwen! How lucky are you…. Oh, time spent with Gwen M. I look forward to reading anything you will share from that class–insights, impressions, fangirl notes. (I’m projecting here…) We are fortunate that after she retires we will have her brilliant books to refer to again and again; every time I read mine, I learn or am reminded of something “new” or important. A class with Gwen!! Whoot Whoot! you are a lucky duck. I am totally stealing that coloured word picture. 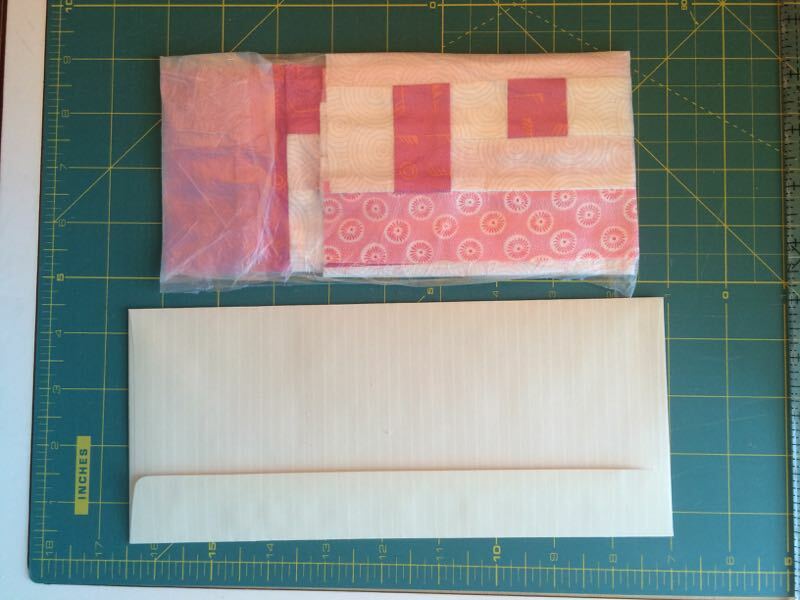 And question about press and seal – do you know if you can quilt through it? 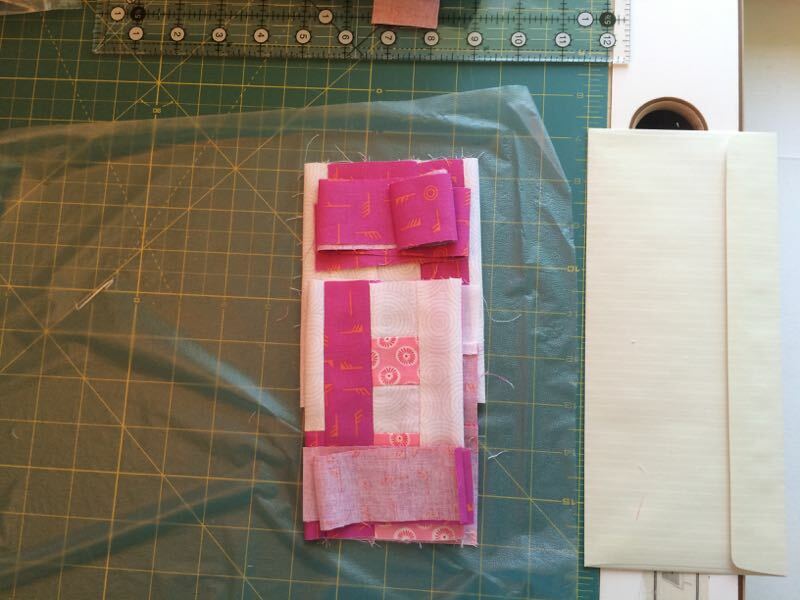 I was thinking about tracing a quilting design and stitching right through it. Thoughts? 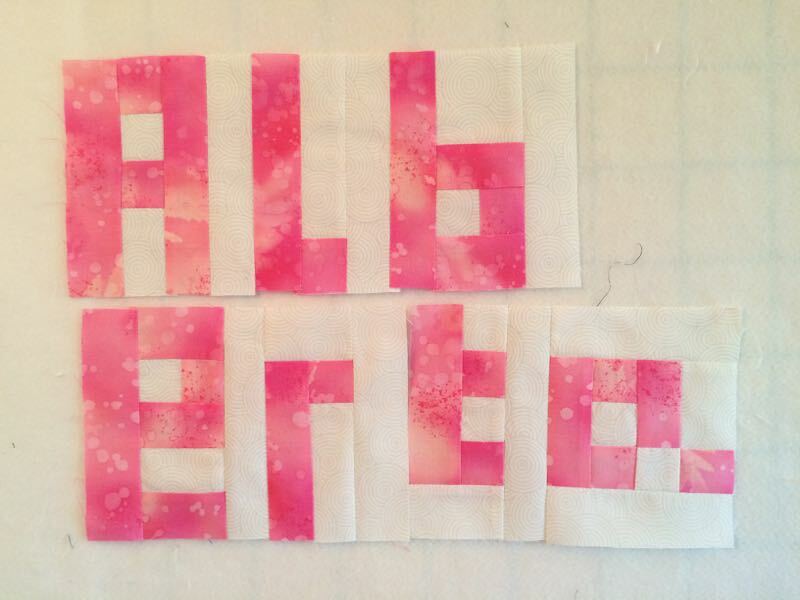 Your Nohara blocks are darling! I feel like an echo chamber, but–a class with Gwen, Wow! And I want to hear about it afterwards1 And very cute block collection. What a treat taking a class from Gwen Marston. You are so lucky and I bet you learn a lot from her. 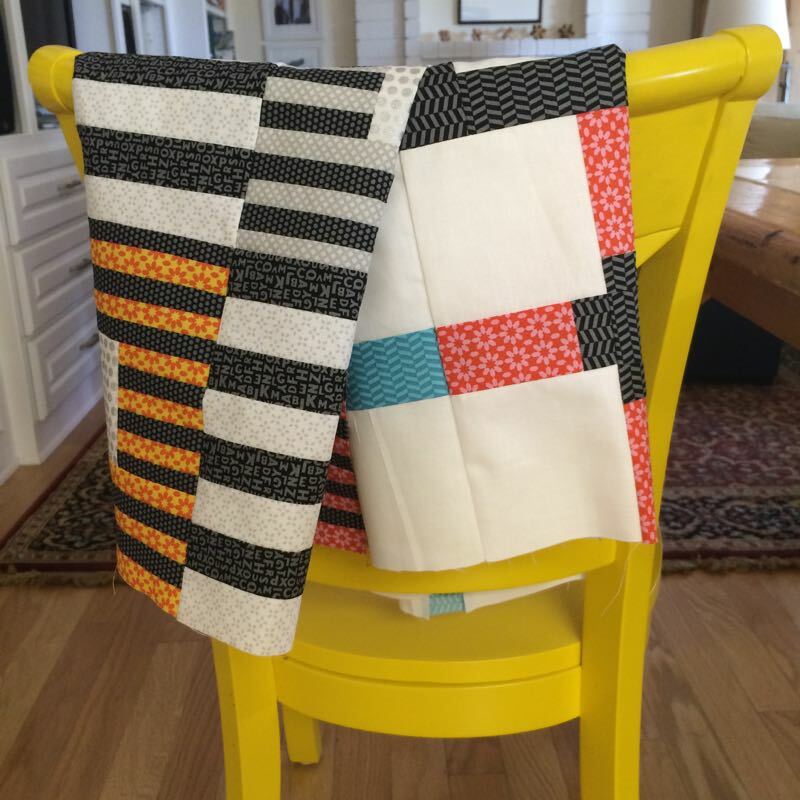 Your Chuck Nohara blocks are wonderful and one thing you ca say no matter how complicated the blocks are you are learning so much doing them. I don’t know how you get so much done in your busy schedule but guess the more you have on your plate the more you get accomplished. Thanks for the post and the wonderful pictures. Looking forward to the post of the Oh Christmas Tree. Mine are going slow as I’m still getting settled and getting my sewing room in order. Have a great week and look forward to your comments on your class. I LOVE all of your Chuck Nohara blocks. It was really fun to see them all together. What a thrill it will be to take a class with Gwen Marston. Her work is amazing. I’m looking forward to Simone’s words next month. I love her idea. 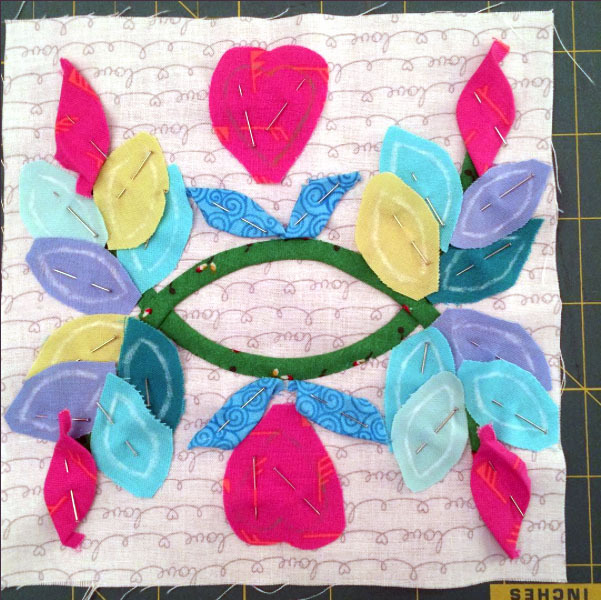 Your applique piece will be incredible when finished. Is there a group of blocks that go with it or is it a medallion piece? Great fabrics in it. It looks like it would be a fun take along project too. 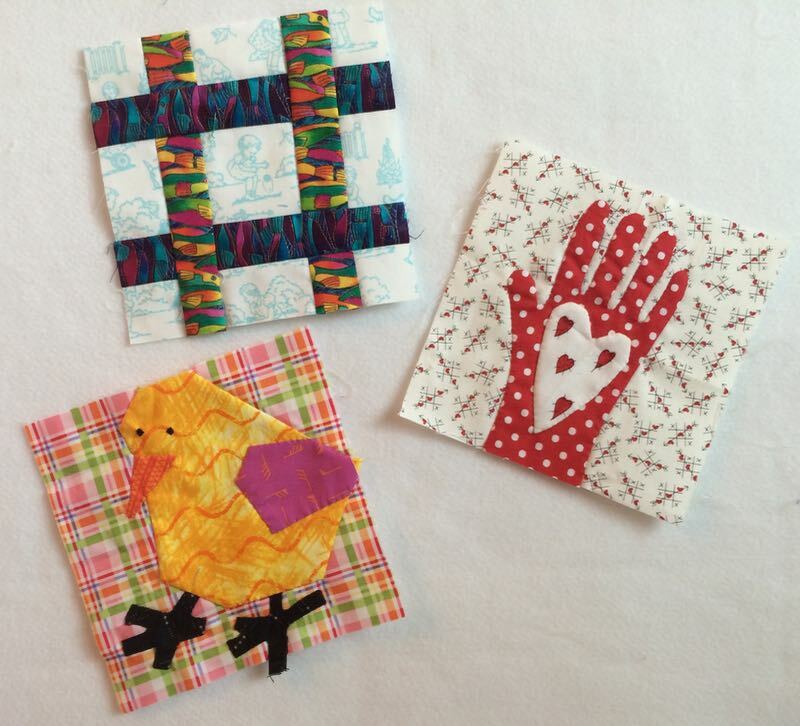 Beautiful blocks as always and I love the tip for posting! Wow. Lots in this post. Those Chuck Nohara blocks look mostly WAY above my skill level! LOVE the yellow chair. I think Simone’s project is genius. And have fun at the class tomorrow. Have a good time at 7 Sisters and have fun in your class. 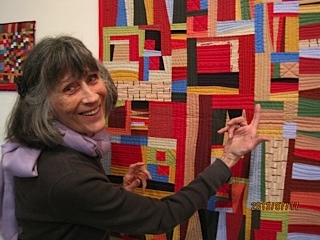 Jane and I missed the show last year due to conflicts but we went up to SLO the week after – it was lovely up there and we did a quilt run all the way up and back! 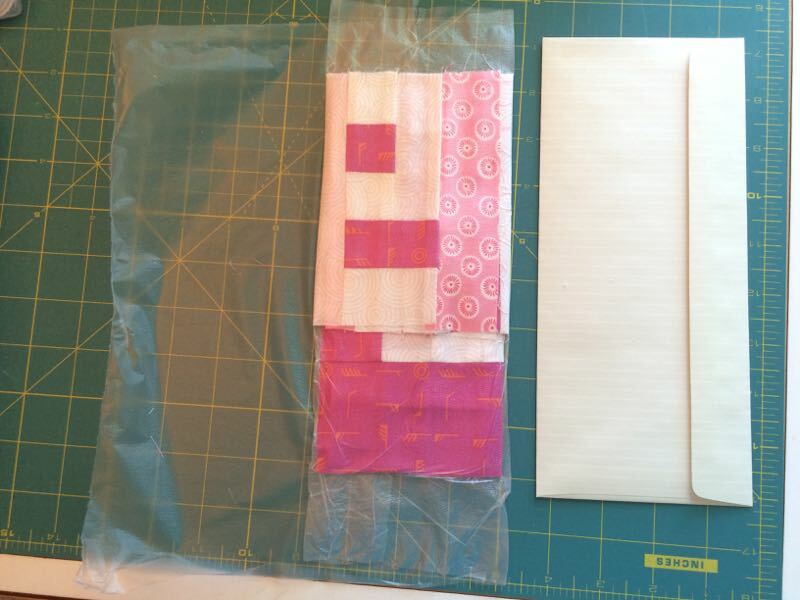 Jane and I are going to Sisters, leaving on Sunday, and got into an Ann Shaw 2 day class and a fabric dying class. I checked the weather up there – in the 80’s during the day but drops into the 40’s at night. 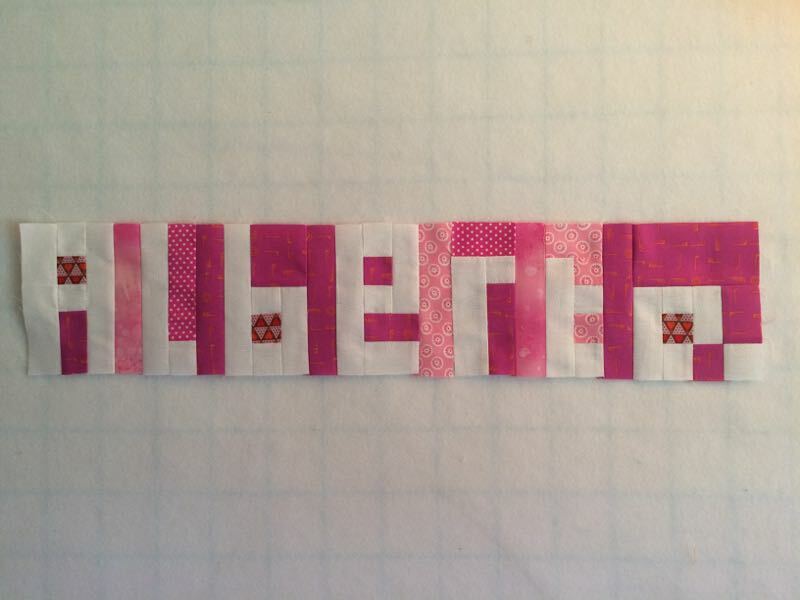 Don’t forget to pinch your lines on your applique – makes it easier to turn them under. You are VERY inspirational, as usual! Love your blocks, and hope you have a fabulous time with Gwen—-I’m sure you will! Thanks for sharing!